It might just be my faulty memory, but I don't think the packaging has changed since it's original release. I remember the bags looking just like this when I was in high school. 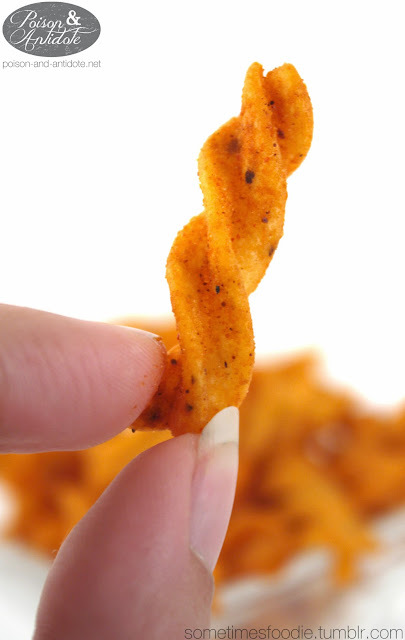 All Fritos snacks are a variation of the basic corn chip, in this case it is a spiral cut cut that has been fried and dusted with a tangy honey BBQ flavoring. Design-wise, the bag is like any other Fritos snack. 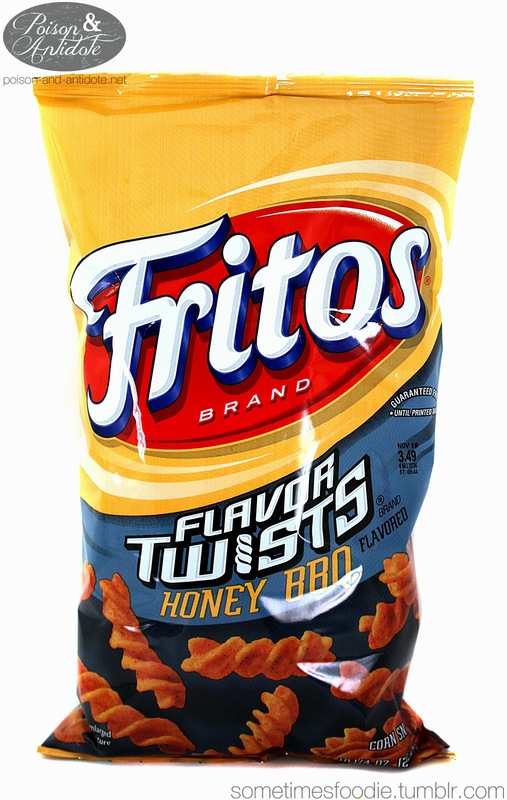 The only difference is that towards the bottom of the bag there is a blue-ish gray band with images of the product and the Flavor Twist logo. I don't think anything has really changed in the last decade, other than this being the only flavor available. 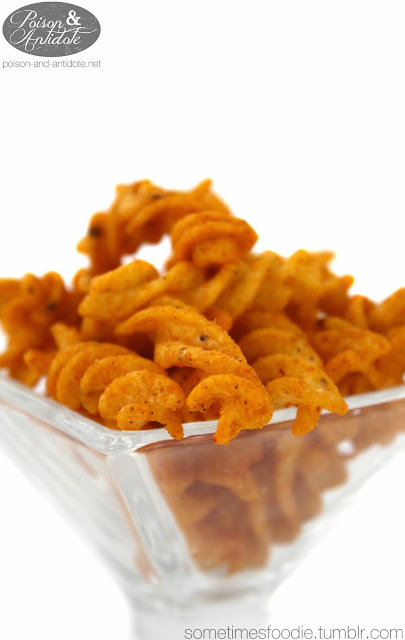 I remember seeing other flavor options in high school, like some kind of ranch cheddar mix, but I'm fairly certain that it was discontinued. I haven't seen it in years.